Most of renowned players on the circuit of North American live poker were present at the Borgata in Atlantic City for the grand final of the season XII of the World Poker Tour (WPT). The Main Event of this World Poker Tour World Championship started on Monday with the participation of 328 players during two departure days, 105 incomers in the Day 1A and 223 in the Day 1B. Out of the 328 participants who have paid the buy-in of $15,400, only 200 managed to qualify for the Day 2 of the tournament. During the day of Wednesday, these 200 survivors began the Day 2 with Jason Koon as chipleader. 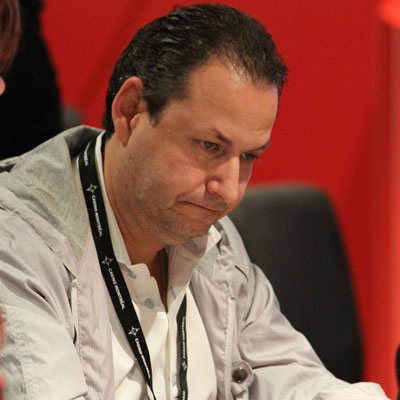 Other notable players such as Men Nguyen, Scotty Nguyen, Chris Moorman, Vanessa Rousso, Phil Hellmuth, Marvin Rettenmaier, Mukul Pahuja, Greg Merson or Joseph Cheong started also the day. Paul Volpe, Brandon Steven and Scott Seiver met in the temporary top 10. On the other hand, players such as Marvin Rettenmaier, Joe Serock, Scotty Nguyen, Men Nguyen, Vanessa Rousso, Matt Salsberg, Paul Volpe, Andy Frankenberger, Faraz Jaka, Joseph Cheong, Eric Baldwin, Greg Merson, Scott Baumstein and Matt Giannetti were eliminated during this day. But at the end of the day, the field was reduced to 62 players. Eric Afriat was the chipleader at the beginning of the Day 3 with 1,003,000 chips, or the double of his direct pursuers: Anthony Gregg (567,000), Athanasios Polychronopoulos (542,500), Scott Seiver (539,500), and Ryan D'Angelo (519,500). The member of the Poker Hall of Fame Phil Hellmuth and the player of the NFL Miles Austin are also among the survivors of the day. The Day 3 is going to start this Thursday at noon, until the poker tournament reaches the 27 players for the Day 4. 36 players will be in the money during this WPT World Championship. This page has been viewed 645 times.